How Shocking! – Jammu has over 2 million refugees are originally from Pakistan Occupied Jammu & Kashmir, West Pakistan and even Kashmir. As you can see in the picture, they continue to live in very bad conditions even though they are INDIAN CITIZENS. 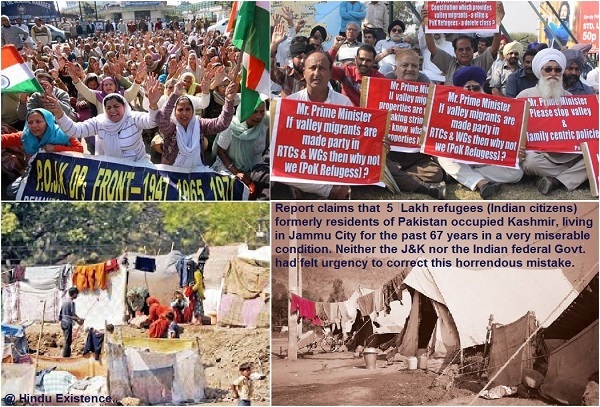 They have NOT been given citizenship of Jammu and Kashmir even though they live in camps in Jammu & Kashmir for decades. Due to this they are only permanent residents and cannot buy property, get government benefits and obviously vote. Previous J&K government did give state citizenship rights to Uyghur Muslims who migrated from China to Tibetan Muslims, so there is past precedence. The delay is another instance of religion based discrimination for Hindu and Sikh communities in J&K.